Graveside services for Mrs. Jacqueline Coleman Washington of Dudley Street Americus, Georgia will be held on Saturday, June 8, 2013 at 11:00 A.M. at the Eastview Cemetery with Bishop Arthur Fulton officiating. Mrs. Jacqueline Coleman Washington was born on August 24, 1967 in Sumter County, Georgia to Mrs. Nellie Coleman and Mr. O.Z. Coleman. She was educated in the Sumter County School System and was a 1985 graduate of Americus High School. In 1992 she married Emmett Washington and this union was blessed with two children, Rashieka Coleman and DeShaun Washington. Jacqueline was briefly employed at Georgia Farm Produce Company. On Tuesday, May 28, 2013 at the Phoebe Putney Memorial Hospital in Albany, Georgia, God ended her struggle and called her home to rest. She leaves to cherish her memory her husband, Emmitt Washington; two children: Rashieka Coleman and DeShaun Washington; her siblings: Alicia Dowdell, Joyce (Paul) Harvey Theresa Coleman, Melinda Coleman, Clarence Coleman, Joseph (Mary) Coleman, Otis Coleman, Jerome Coleman, Jeffery Coleman, Willie James Coleman, Tony Coleman and Gabriel Coleman; one grandson, Jaylen M. Coleman; one sister-in-law Valerie Coleman; forty-seven nieces and nephews and a host of other family and friends. Memorial services for Ms. Robin Michelle Crittenden of Oglethorpe, Georgia will be Saturday June 1, 2013 at 3:00 P.M in the Chapel of West’s Mortuary in Montezuma, Georgia with Chaplain Geraldine Manning officiating. Ms. Robin Michelle Crittenden was born to the late Gloria Joseph Crittenden and Harvey Crittenden on October 16, 1967 in Elizabeth, New Jersey. She grew up in Plainfield, New Jersey where she attended the Plainfield Public School system and graduated from Plainfield High School. Robin, aka “Yoo-Hoo”, was well-known throughout the community for her bodacious personality and undeniable sense of style. She had an undying love for music and a strong angelic voice. Whether at family functions, lounging around the house, or walking down the street, Robin would bolt out beautiful notes and captivate her audience. After residing in Plainfield for many years, Robin relocated to Montezuma, Georgia in 2002 to be with her family. She was a loyal mother, daughter, sister, aunt, and friend. Robin passed away on Sunday, May 26, 2013 at her residence. Her son, Ahmad “Shotty” Crittenden preceded her in death. She leaves a legacy of love and memories to her granddaughter, Ahmai Rashai Crittenden; her sisters: Tanisha Crittenden, Evette Crittenden, and Marcellene Joseph-Martin; brother, Mark Joseph; grandmother, Cora Manning; nephew, Jamal Joseph-Wheeler; nieces: Jasmine Joseph-Wheeler, Madelynn Crittenden, Jocelynn Searchwell and Anisha Rivera; great nephews: Khyren and Jordan Joseph; aunts: Artizellea Leftenant, Millicent Whitfield, Cora Billingslea, Lillie Estrada, Hattie Manning and Romaine Anderson; uncles: John Manning, Dewey Manning, Henry Manning, Tyrone Manning and Ester Joseph; a host of cousins and close friends that she loved dearly. Mr. Jimmy Lee Sims was born January 1, 1938 on Small Piece Road, Plains, Georgia. He is the son of the late Mr. William Clinkscale and the late Mrs. Bertha Kate Sims Clinkscale. His maternal grandparents were the late Mr. Sammie Lee Sims and the late Mrs. Doshia Solomon Sims, Plains, Georgia. Mr. Sims died on Sunday, May 26, 2013 at the Lillian Carter Nursing Center. Memorial services are incomplete and will be announced later. He is survived by a brother Mr. Andrew David Clinkscale, Montezuma, Georgia; one uncle, Mr. Eddie Sims, Albany, Georgia; three sisters: Mrs. Willie Bell Jones of Fitzgerald, Georgia, Mrs. Fannie and Alice Bradley, both of Smithville, Georgia; He has four nieces and nephews; several cousins including devoted cousins: Jurilene Morgan and Jessie Sims, both of Americus, Georgia. Several other relatives, friends, and his Small Piece Road neighbors also survive. 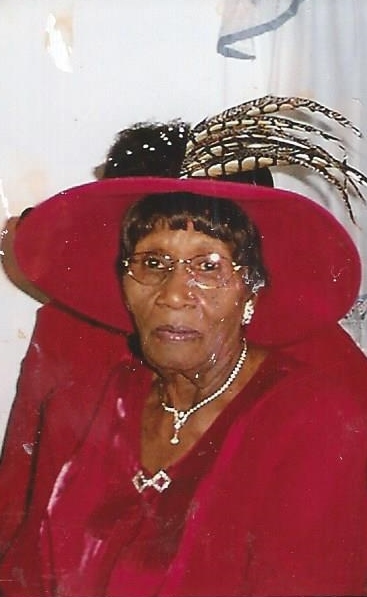 Funeral services for Ms. Brenda Emerson of Montezuma, Georgia will be conducted Saturday, May 25, 2013 at 1:00 at Bethel AME Church, Montezuma with burial following at Champ Waters Cemetery. Ms. Brenda Emerson, age 59 of Montezuma passed away on Tuesday, May 14, 2013 at Coliseum Hospital in Macon, Georgia. Brenda was employed at Montezuma Health and Rehabilitation Center as a CNA for a number of years. She was a member of Bethel AME Church. On May 4, 2013 God saw infant Bryceton Floyd struggling for life and decided to remove all of his pain and take him Home to rest. He was preceded in death by his grandfather Tommy Lee Floyd, Sr. He leaves to mourn his passing his parents: Deanna Tatum and Rupert Floyd; ten brothers & sisters: Quay’Shaun Tatum, Dondrea Ingram, Treven Floyd, Ashley Howard, LeeKayla Floyd, Marlon Washington, Jalinda Smith, Gabrielle Evans, Konterrius, Floyd and Trenton Floyd; his grandparents: Loretta Tatum, Dwight Tatum, Sherlan Upshaw and Prisilla Floyd; aunts & uncles: Sabrina Cater, Tommy Floyd, Jr., Carlos Floyd, Lashonda (Perry) Burton, Mario Bishop, Shannon King, Robert Taylor, Tosha Brown, Wilbert Brown, Teresa Crumbley Fernando Jackson, LaQullia Tatum, Lynetta Tatum and Korell Tatum A host of other relatives and friends also survive. Mrs. Martha Murphy Hooks age 47 of Plains, Georgia died on Friday, May 3, 2013. Funeral services will be held on Saturday, May 11, 2013 at 11:00 A.M. at the Antioch Baptist Church with Pastor Kenny Gouch officiating. Burial will follow at the Lebanon Cemetery. Martha Murphy Hooks was born in Sumter County, Georgia on September 3, 1965 to Mollie Murphy and the late Johnny Murphy, Sr.
She leaves to cherish her memory her husband, Joseph Hooks, Jr.; three children: Charles Bush, Jr., Joseph III and Donovan Hooks: one grandchild Zariyah Bush; her mother, Mollie Murphy; three sisters: Brenda (Todd) Muff, Debra Murphy and Flora Murphy Thomas; three brothers: Clyde Murphy, Johnny Murphy, Jr. and John (Danielle) Murphy; her mother-in-law, Mary Ann (Marvin) Hunt. Several other relatives and friends also survive. Funeral services for Mrs. Odessa Bess of Smithville, Georgia will be Monday, May 6, 2013 at 1:00 P.M. at Green Grove Baptist Church in Smithville, Georgia with Rev. Hosie Waters officiating. Burial will follow at the church cemetery. Mrs. Odessa Bess was born September 6, 1919 in Ft. Gains, Georgia. She departed from this life on May 1, 2013. Odessa was a member of Green Grove Baptist Church in Smithville, Georgia. She was married to the late Henry Bess, Sr. God blessed Henry and Odessa with six (6) children: two daughters preceded her in death, Rosie M. Cutts and Brenda Fakalode and one son, Henry Bess, Jr. One brother, Walter Sutton and one sister, Mattie Hodge of Bainbridge, Georgia also preceded her in death. Two daughters and a son are left to cherish her memories, Earnestine (Otto) Bennett of Tampa, Florida; Doris Bess, Americus, Georgia; and Michael J. Bess of Smithville, Georgia; two sisters, Annie R. Bess of Bridgeton, New Jersey; a devoted son-in-law, Deacon Douglas Cutts; and a devoted daughter-in-law, Gussie Mae Bess. Also surviving her departure with cherished memories are 23 grandchildren—two preceded her in death—and a host of great grandchildren, great, great grandchildren, nieces, nephews and other relatives and friends.